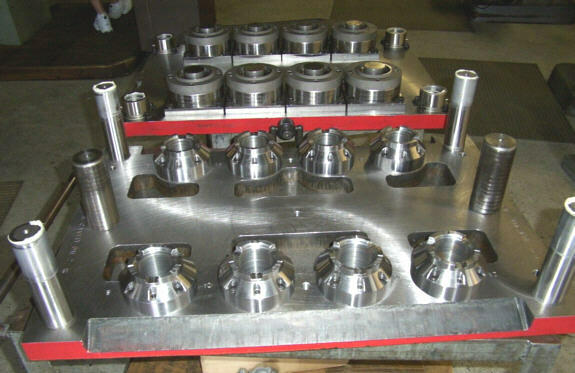 The following trim tools were produced by KB Duplicating. 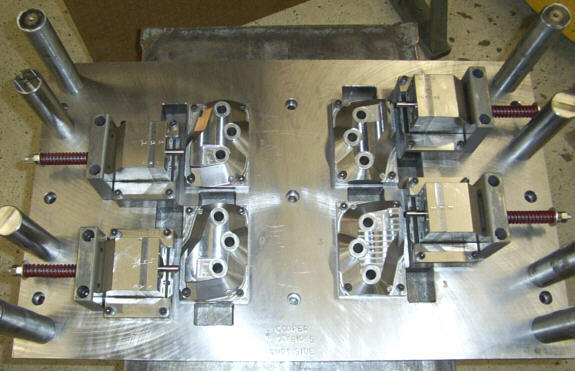 A trim tool may be built alone or along with a die casting mold to complete your die casting production package. 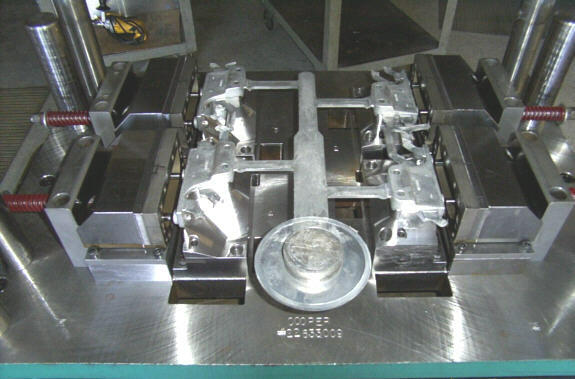 Above is a four station trim tool for an automotive die casting. Note the well designed casting support areas and the side action pin punch. 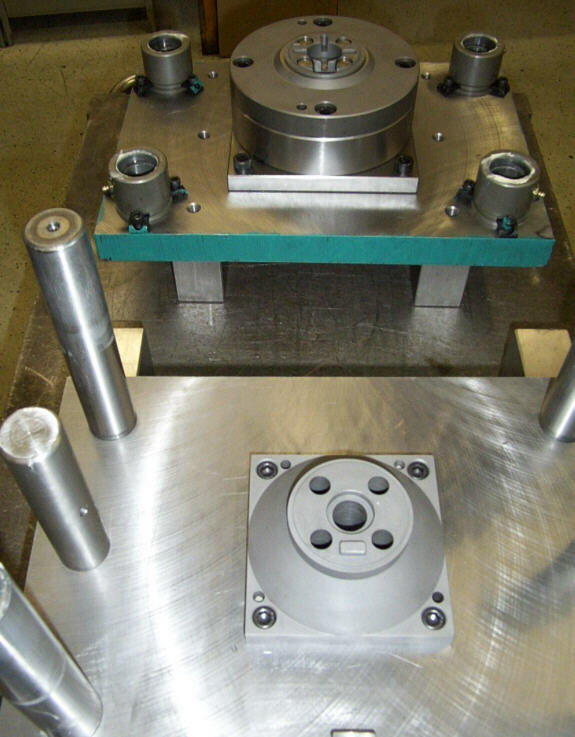 Above is a four station trim tool for another automotive die casting. 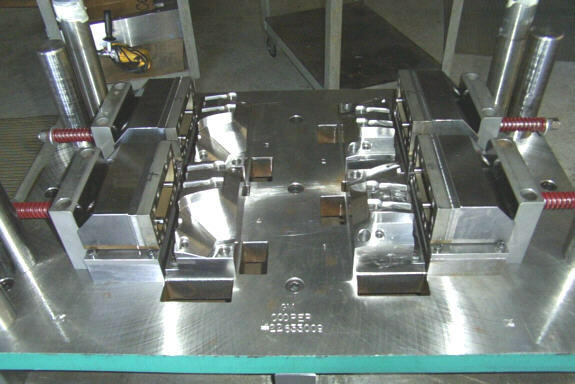 Above is a six station trim tool for an clutch component die casting. 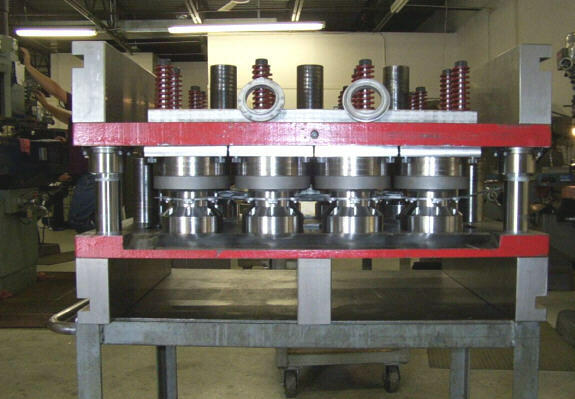 Above is a single station trim tool for an automotive die casting. The top half of the trim tool is also shown.